The latest video for Hitman 2 shows off a few key features that will help players blend in just a little better. The Hitman series is a case where surgical precision and foresight truly matters. Make one mistake and your mission comes to an end. Oversights are not tolerated. 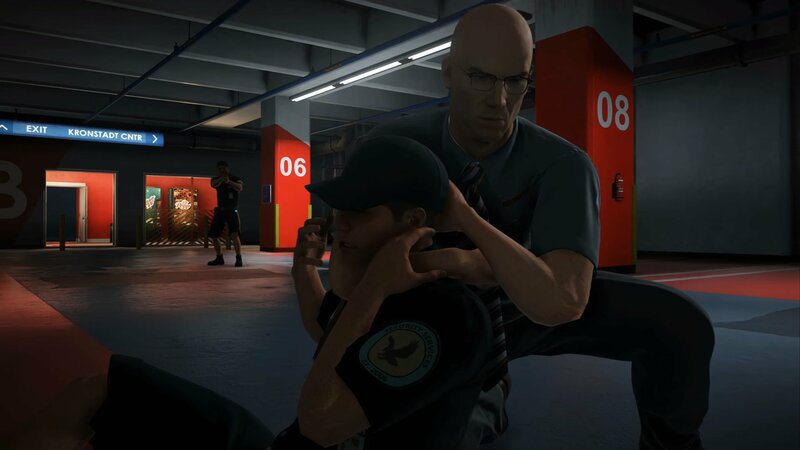 That's still the case in Hitman 2, but Warner Bros. and IO Interactive are looking to help players learn from their mistakes. The latest Hitman 2 video is a primer on how to approach the game with Agent 47's distinct brand of discretion. It also spotlights a few different mechanics, like the mini-map and grids that show a security camera's line of sight. There's also a look at a new Picture-in-Picture feature, which will reveal a separate feed on the corner of the screen displaying exactly how and where Agent 47 is exposed. This feature allows players to learn from their mistakes and plan out their paths differently for their next try. The time for trial and error is nearly at hand. Hitman 2 releases on PC, PlayStation 4, and Xbox One on November 13. Those looking for an idea of what the game looks like can watch our post-E3 gameplay footage.